Whenever Apple comes up with the next big thing, we come up with the next big way to carry it. Our Connect Case for the iPhone 6 is tailored to protect this phone's larger, slimmer profile, while maintaining its feel and keeping its brilliant functionality at hand and accessible. The streamlined, lightweight Connect Case for iPhone 6 is constructed of high grade, shatterproof Lexan® polycarbonate that offers dependable protection for your phone. The soft-touch feel and positive diamond grip pattern make it secure and comfortable to hold, and an innovative flex-hinge makes insertion and removal from the case quick and easy. The Connect Clip allows for convenient accessibility. It's the ultimate in sleek protection for your iPhone 6. The streamlined, lightweight Connect Case is specifically designed to protect and showcase the distinctive larger size and slender contour of the Apple iPhone 6. 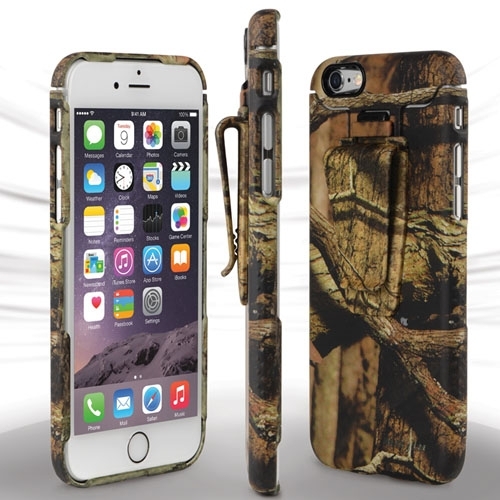 Constructed of high grade, shatterproof Lexan® polycarbonate, it offers serious protection from every day wear and tear, dependable shock-absorption, and a unique, low-profile design that keeps the features of your iPhone 6 accessible at all times. The soft-touch feel and positive diamond grip pattern make the Connect Case secure and comfortable to hold; an innovative flex-hinge makes insertion and removal from the case quick and easy; and the removable Connect Clip allows you to conveniently attach your phone to pockets, straps, or belts for easy access.